... or rather, 'Will Be Going'. 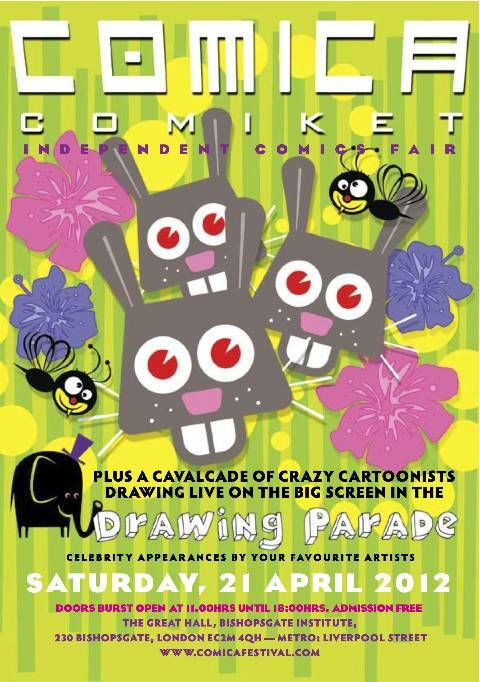 I'm following the modest debut of Killjoy with a turn at the Comica festival's Comiket in London this April. Like Thought Bubble, I'm exhibiting without having visited the event before. It looks good. I've already booked dirt-cheap coach tickets to the capital, and so should you. Come over and and we can exchange stilted pleasantries. I probably won't have a second issue to sell. 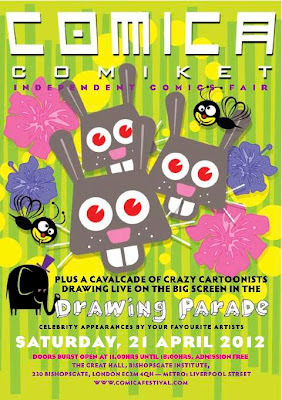 ^ © Paul Gravett, possibly. Since the release of Killjoy #1, I've become involved in a couple of great cartooning projects, led by comics creators better known than me. This means that: (a) I will be drawing more comics than usual this year; and (b) I have the opportunity to type that great artist-blogger cliché: I can't talk about them yet! Actually, I might be able to - not sure - but one's got to fully exploit the opportunity to sound popular and enigmatic, 'ey? A final note - Killjoy #1 is available, so far, in ten shops all about England, with a few more to follow - a couple of which will be over the Pond.